With the start of the New Year, there’s just one resolution that should be of your list: Travel to Italy in 2015. It’s always a good time to visit Italy, but we think 2015 will be the best year yet! 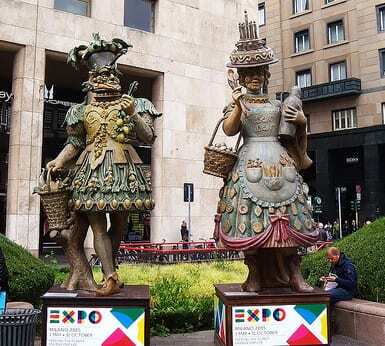 The 2015 Expo in Milan has motivated Italy to do some early spring-cleaning, restoring monuments and art to their ancient glamour, adding visiting hours to museums and churches and giving access to long-shuttered attractions. So even if you’ve already visited il bel paese, here’s 6 reasons to buy your plane tickets for 2015. Walks of Italy has long given visitors a chance to see a different side of Italy – from our night tour of the Colosseum to our behind-the-scenes tour of St. Mark’s Basilica in Venice – but with new openings and special access, 2015 is the year to finally see inside your favorite Italian attractions. 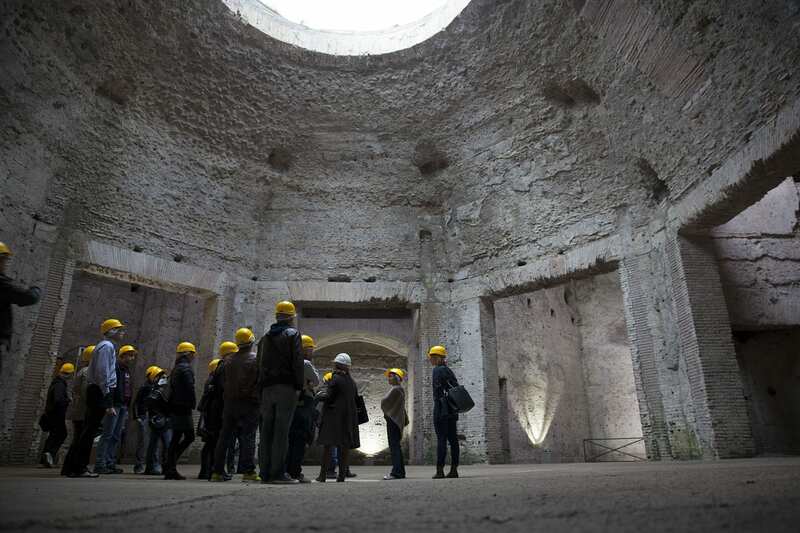 Even the Domus Aurea, Nero’s enormous palace near the Colosseum, is accesible this year. To fund various restoration projects in Rome, the opulent private residence (whose name translates as “House of Gold” in English) will be open to the public with tours led by Coopculture. Look into the resources that give you a chance to truly see top attractions, like a private Pompeii tour, the Domus Aurea and the catacombs under Rome, for an updated trip in 2015. 2015 brings the next World’s Fair – the Expo at Milan. Italy has always been known for its food but with this year’s Expo theme, “Feeding the Planet: Energy for Life,” you can tour food from throughout the world all in one city! Open from May 1 to October 31, 2015, the Expo will host over 130 participants and expects over 20 million visitors. New York Times Travel even named it the number 1 top place to visit in 2015. Come not only to finally give Milan the time it deserves, but to tour some of the world, bite by bite. With the Euro at a 9-year low against the U.S. dollar, international travel is more accessible now for Americans than it has been in nearly a decade. The exchange rate valued €1 at roughly $1.35 for years. Today, it’s around $1.20. This means that planes, trains and automobiles, not to mention museum tickets, restaurants and hotels, will cost a lot less than last year (or the year before that – or the year before that…) for American travelers. Take advantage of the favorable exchange rate to plan the Italy trip of a lifetime, saving money while you’re at it! Italy has some of the best art and architecture in the world and 2015 gives you a chance to see even more of it! In Siena, the Santa Maria della Scala museum is finally open after extensive renovation. See some of the most ancient Byzantine relics in the world as well as a new room dedicated to Siena’s history. Further north, in Padua, get 40 minutes to see Giotto’s original frescoes in the Scrovegni Chapel instead of the usual 20 minutes, or come back to visit during evening hours. With more and more museum, monument and event tickets available for advanced sale to prevent waiting in line, head to Italy in 2015 for a whirlwind of inspiration. Pope Francis’ popularity is huge and doesn’t seem to be declining in the new year. With thousands of visitors every day to the Vatican City, masses in St. Peter’s Basilica and throngs of crowds in the Piazza for his weekly Wednesday blessing, Pope Francis is a huge draw to Italy – and with reason! After starting the year with messages of hope for the 2015 World Day of the Sick and messages of peace for the Epiphany, he promptly named 20 new cardinals from all over the world, including countries like Thailand, Myanmar and Tonga. Next up on the Pope’s wide-sweeping list? In December he promised a 2015 paper on the church’s stance on climate change, an already hotly debated issue throughout the world. Take a trip to the Vatican City to see the Pope yourself and hear his message at one of the many 2015 papal audiences. The Vatican is huge and seeing it on your own can be daunting. 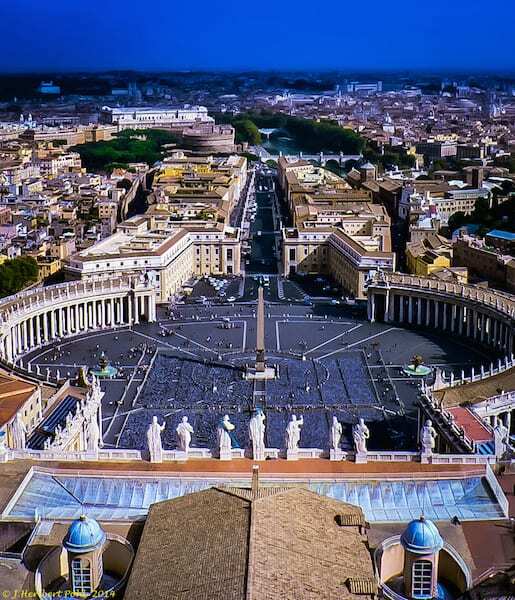 If you want to skip the (always) long lines and see the museums with an expert guide, have a look at some of the special tours we run in the Vatican. So you’ve never been to Italy but always dreamed about it? You’ve seen movies, heard stories, salivated over the photos and maybe even came close to booking a trip, yet still haven’t made it across the pond to beautiful Italia? With more help, more tours and more access than ever, there’s no more reasons to wait. Over 47 million visitors come to Italy every year to learn the language, experience the culture, see the landscapes and priceless art and, of course, taste the delicious food – make this year yours! Hi – I have been enjoying reading your older blogs on the Amalfi Coast. My sister and I are travelling from NZ to Rome in April and are wanting to visit the Amalfi Coast and Naples. As suggested by you I thought we could catch the train to Salerno and then gradually make our way up to Naples by bus I presume. Where do you suggest we stop on our way up and how long should we spend there. I thought we would prob spend one night in Salerno first unless you think it should be longer. We plan to spend a few nights in Naples. Looking forward to hearing from. We’re glad we could help! This article has some great advice for Amalfi Coast travel, including some popular towns to visit, and this one lists some of our top suggested sights. You can spend as much or as little time along the coast. For quick trips, we suggest our day trip from Rome. For longer stays, you can take the bus along the coast, stopping at the small towns and spending as much or as little time as you need. Take another day to see Pompeii and Vesuvius as well! Already traveled to Italy twice to see Bologna, Modena, Ferrara, then Pisa, Florence and Lucca. Avoided big cities such as Rome, Milano but they are on my list. For this year! If you come to Milan for this year and you like to visit small and enchanting villages, Lake Como is perfect and not far from Milan. It is a beautiful place! Glad to find your website. We;ve found lots of very useful information. We are two families, total of 9 people (4 +5) planning an trip to Italy this summer. This is our plan so far. Arrive in Florence and stay in a villa somewhere in the Tuscany region for 6 or 7 days, travel down to Amalfi Coast for 4 days and then back to Rome for 3 nights before heading home. Any suggestions about travelling while in Italy would be great. Particularly train vs rental car. Because of our large group, is the train gong to be too expensive compared to renting a car? Loved your Blog article on Salerno but we have also seen some beautiful houses to rent in Positano. Would you recommend Salerno over Positano just because of the train access? Also, planning on doing from day trips in the Tuscanny area while there so your suggestions on a central location and a sensible number of excursions would be great. We have a great piece on Italy train travel here. We do think that in a large group it’s often cheaper with a car, but it can potentially be more stressful and there are many toll booths on Italian roads to consider as well. We suggest Salerno as opposed to Sorrento, which is often the first choice for visitors in the area, but nearly all the towns along the coast offer beautiful lodgings and, of course, beautiful views! 1. is the hiking and visiting way too much for 10 days…well 8 really travel time? 2. this is everyone’s first visit to italy and i want a good expereince and not running around but enjoying the culture. If you don’t want to be rushing, we suggest that you cut out some of the itinerary. Rome and the Dolomites are far apart and you’ll lose a lot of time for travel between the two, especially if you want to enjoy the culture and take some longer hikes. One option would be to explore Florence for a few days, head up to Cinque Terre for some hiking and then take a train to Venice to see the city. Maybe this article on hiking in Cinque Terre can help. In any case, we’re sure your trip will be great! That’s great, Phil! We look forward to having you! Let us know if you have any questions. Hi, i’m wanting to explore the Matera area – do you do any tours there? We’re sorry, we don’t have any tours in Matera, but we do have many in Amalfi Coast, Pompeii and Naples which is a great starting point for a trip to Matera. You can take the train or a bus from Naples to Matera. You can find more information here. Thank you Lorena! We’re glad you like the blog. South Tyrol is incredible, but it’s exciting to see another part of Italy as well. We have many different tour options, such as a tour into the crater of Vesuvius, to help you make the most out of your time in the Amalfi Coast. Hope to see you soon! Hi John, Italy is awesome, and it has a lot to offer a traveler! Here are some of our best travel tips, all in one place! If you’d like more of a guide, we’d be happy to have you on one of our tours! You can find nice weather nearly year-round in Italy, depending on where you stay, but we particularly like late spring or early autumn for the best temperatures and dry weather conditions. Rome and Milan are both very big and popular airports in Italy, though Pisa, Florence, Naples, Venice and many other cities have airports as well. As for moving around, that all depends on you! Staying in one location can be very nice, though, to really get to know that place. Let us know what you decide and check out our tours in the city you choose to see the sites with our expert local tour guides!